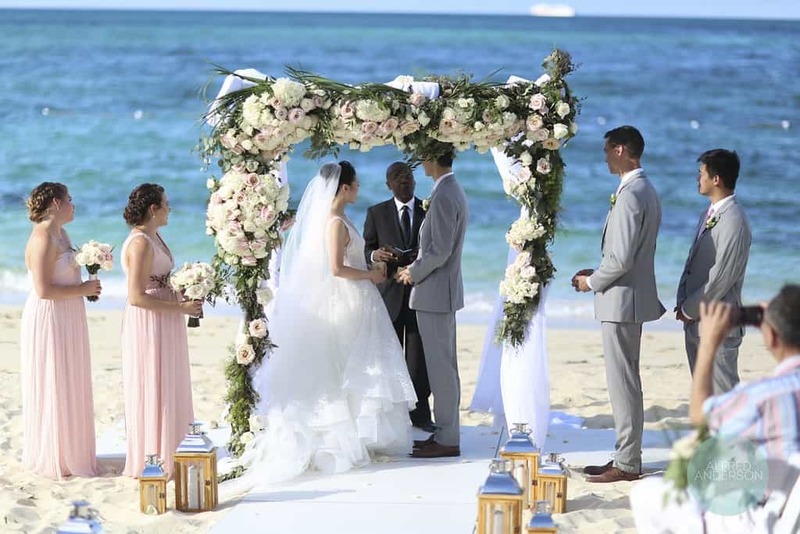 Both medical doctors, Michael and Yulin had very little spare time to plan a Nassau Bahamas beach wedding. With so little time on their hands, the couple took a cruise to Nassau for a day’s site visit. I met the couple after they disembarked the ship. Prior to Michael and Yilun’s visit, we had much dialogue about their event vision and style. Beach, privacy, and seclusion were most important. With a full day ahead of us, off we went to visit a private villa that the couple fancied. Then, it was on to Blue Sail Restaurant, Sandyport. 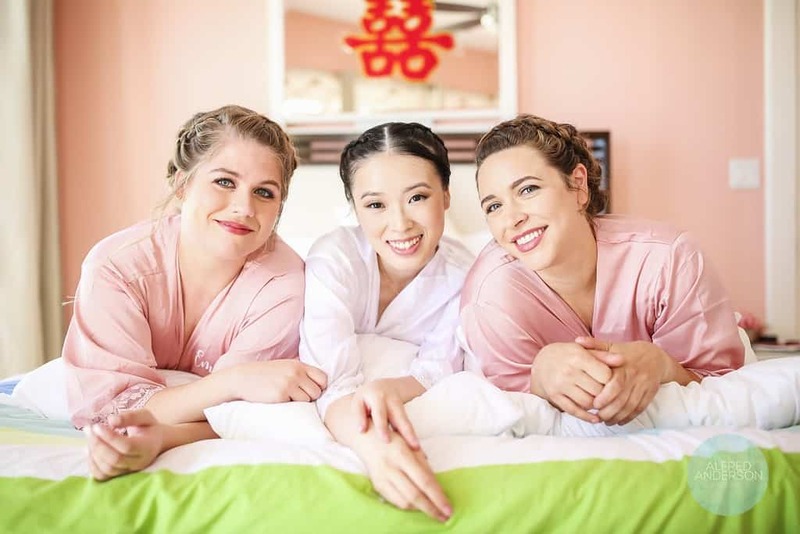 The bride and groom immediately loved the relaxed vibe and the restaurant’s oceanfront location. We walked the beach before moving to the dining room. By the end of our visit, Yilun and Michael were excited. Lo and behold … decision made! Sandyport Beach and Blue Sail Restaurant were venues for the couple’s big day. Michael and Yilun were starting residency when they visited Nassau. But, they were still awaiting hospital assignment details. Residency hospitals were confirmed. However, some time went by before Yilun and Michael could have time off from work for the wedding confirmed. Finally, the time off for the wedding was granted. Relief! Proceed with wedding planning! Saturday, August 18, 2018, arrived. Michael and Yilun flew to Nassau the early morning of the wedding. They were met by our driver. Next stop was the West Nassau beach house that was rented for the couple, family and friends. A quick rest was in order. LucyLu beauty appointments were next. And, a tea ceremony followed. 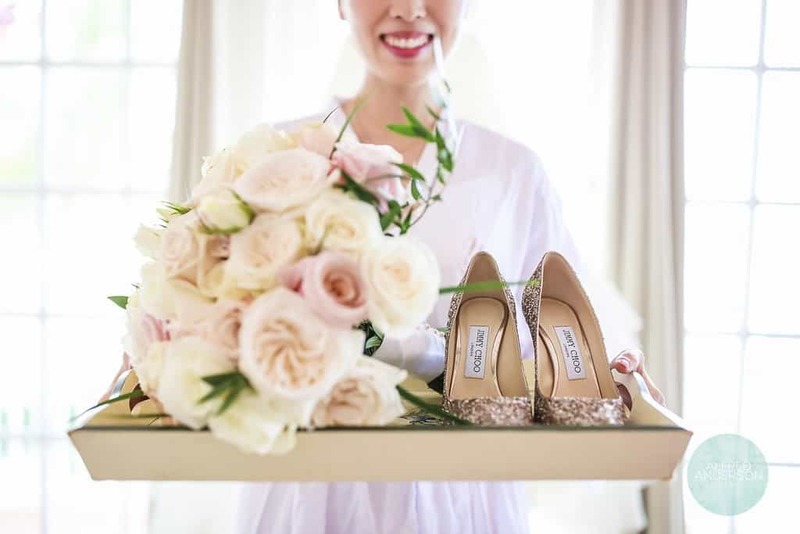 Michael and Yilun’s dreamy, lovely wedding was filled with details that made this wedding so special. 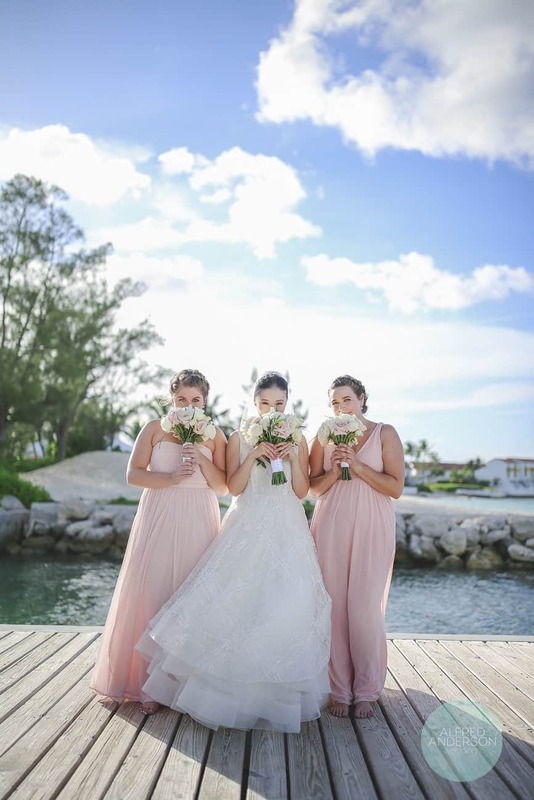 Yilun and her pretty in pink ‘maids on the dock at Sandyport Beach and Blue Sail Restaurant. 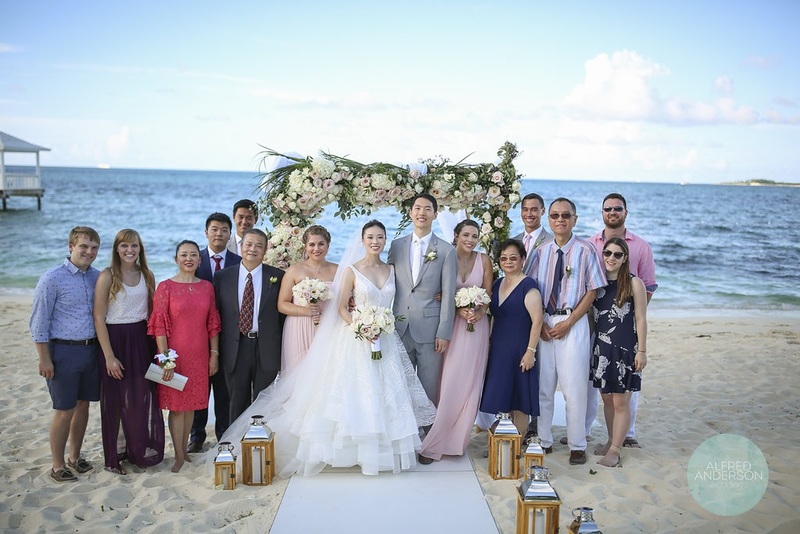 This delightful couple tied the knot on a Saturday, August 18, 2018, at an early evening ceremony on the beach. 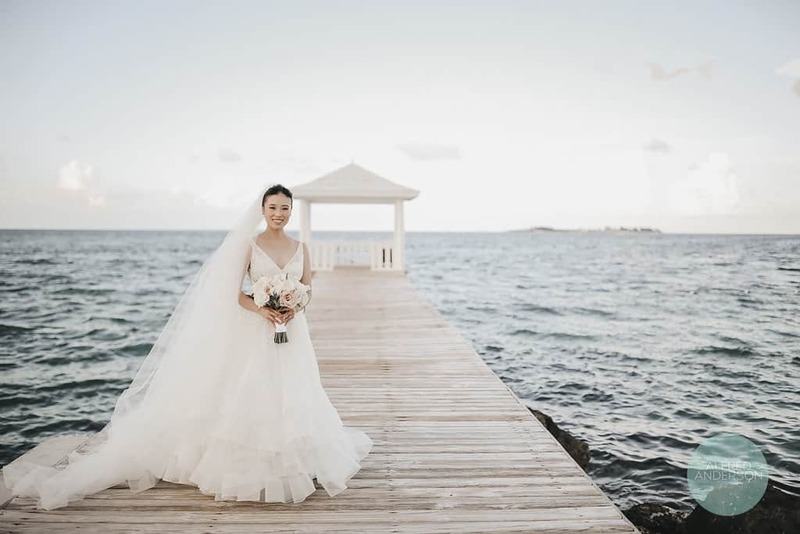 Yilun wore a gorgeous Lazaro Bridal wedding dress. The bride and groom surrounded by dearest family and friends at their intimate wedding. 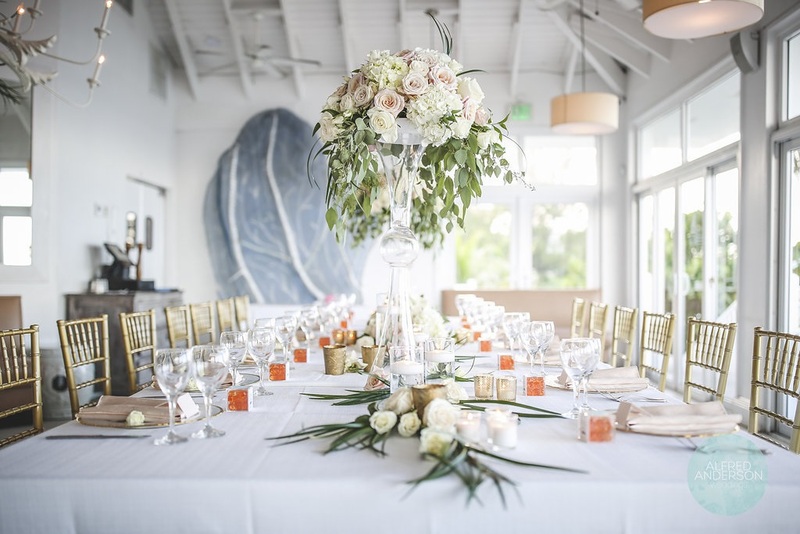 After a beach ceremony, guests were feted at a cocktail reception where beverages and hors-oeuvres were passed. Guests next enjoyed dinner. 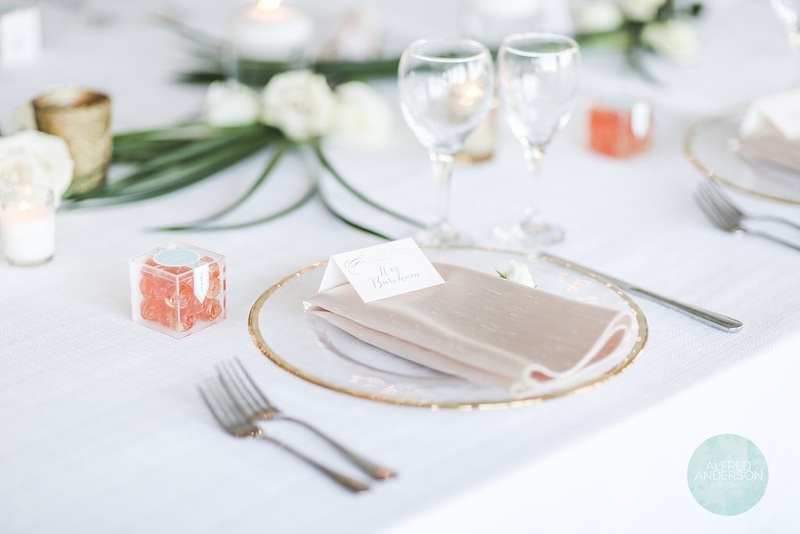 A color palette of shades of whites, pale pinks, and coral graced this intimate affair. Sweet favor boxes for guests blended in with the decor. Michael and Yilun’s fresh reception design! 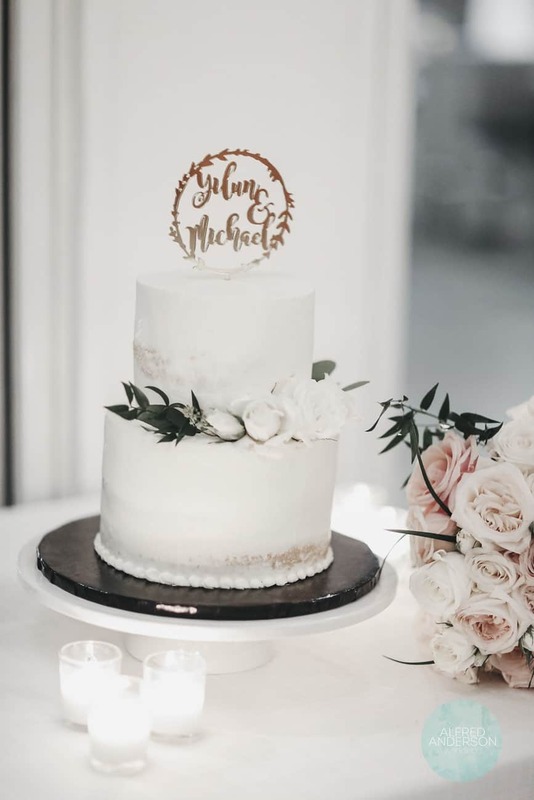 A favorite part of any reception … the cake! 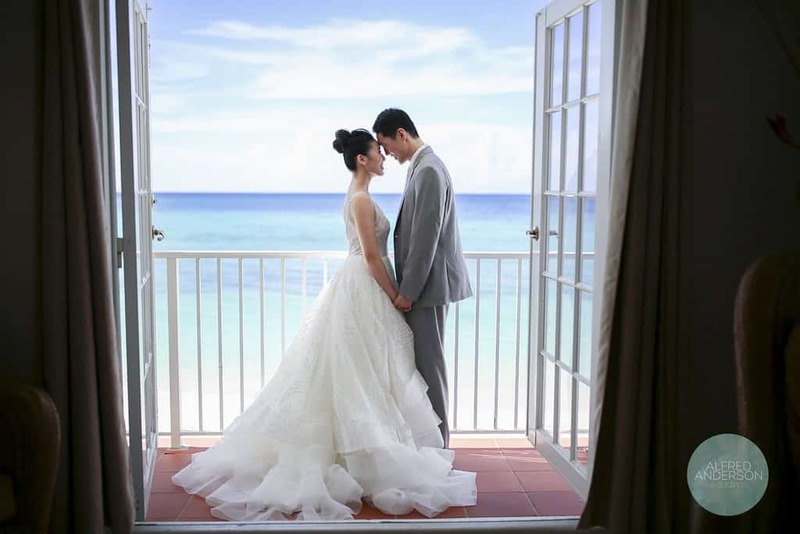 What a sweet shot of our couple on their wedding day in paradise! A beautiful toast of thanks given by the bride. 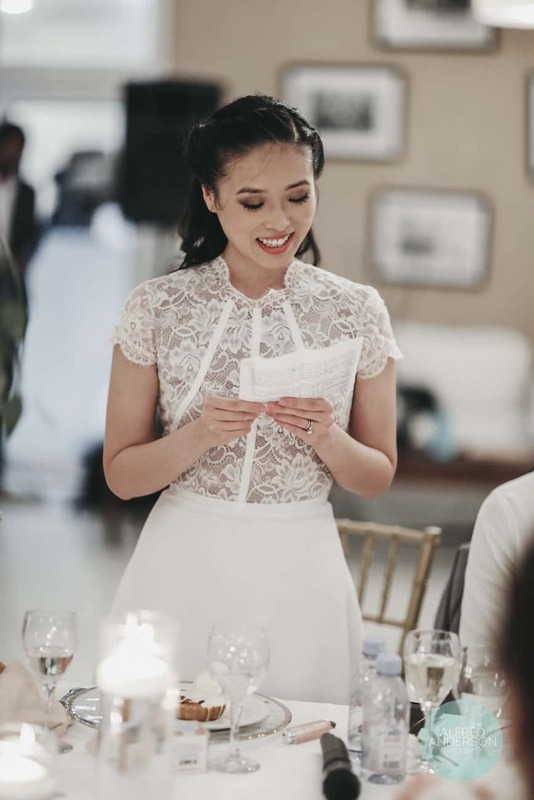 Yilun wore a stunning Nha Khanh Atelier for her third wedding dress of the day. 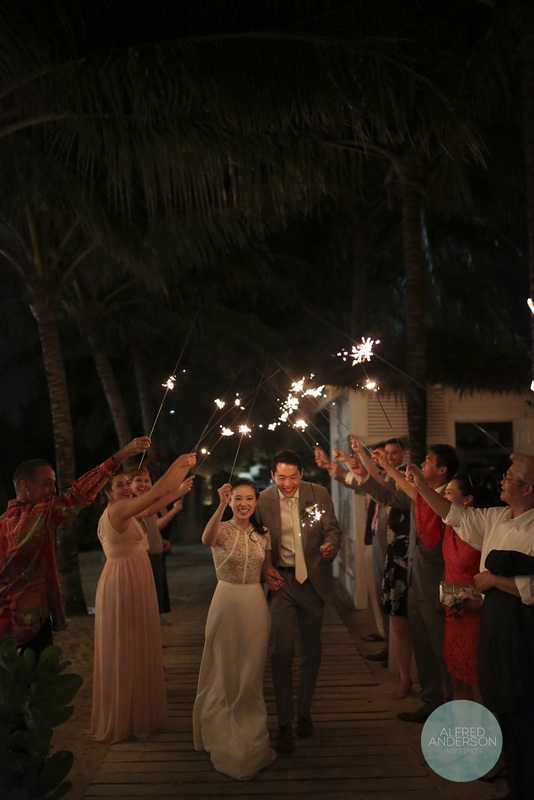 A festive sparkler sendoff for another happy couple! Cheers to Michael and Yilun!